“Our basketball court was installed 10 years ago and has hosted up to 30 middle schoolers (yes, all at once) on many occasions over the years. My children are grown, but the court still gets heavy seasonal use by neighbors and locals. I have always been impressed with the prompt and complete service of the court each year. Every Spring, the DeShayes staff shows up to perform maintenance work without my prompting and without charge! Additionally, if I contact them with a request for a repair, they return the call promptly and complete the repairs within the week. If you are considering putting in a court, I would not hesitate to make DeShayes your choice. Recently, DeShayes Dream Courts was featured in the article “Inside Sports” in Design New Jersey magazine. The article boasts the beautiful design and remodel of a Princeton home in which DeShayes designed and built an indoor basketball court. 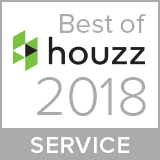 Over the years, DeShayes has appeared in the Wall Street Journal, the London Times, the nationally syndicated television show House Smarts, NBC10, Good Morning America, and the Today Show to name a few. 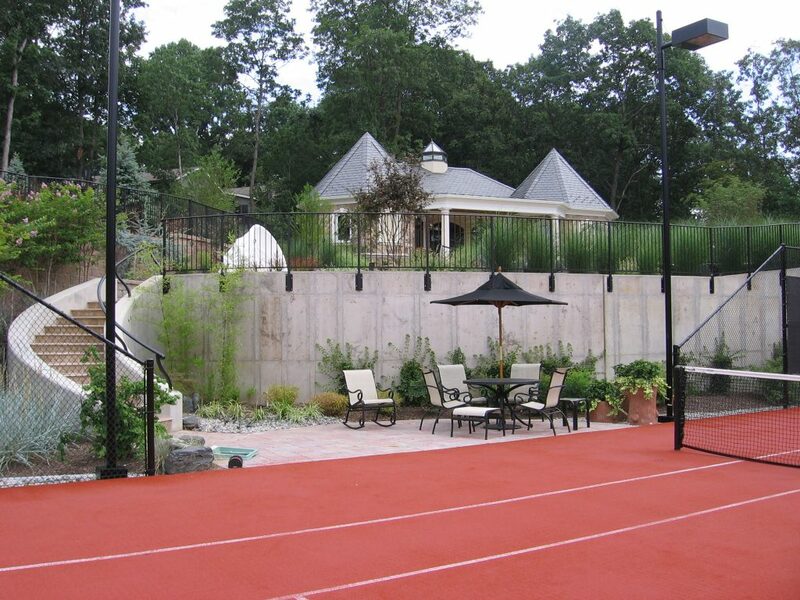 DeShayes Dream Courts designed a tennis court (see below) that won the Residential Tennis Court Complex of the Year from the National Sports Builder’s Association. Joe was selected to be a judge for the annual NJ state design competition through the New Jersey Nursery and Landscape Association. He taught an accredited course to the American Society of Landscape Architects on the proper design and construction of basketball, tennis, volleyball & multi-purpose courts and artificial putting greens & golf green complexes. He also went back to his Alma Mater, Rutgers University, and taught a similar accredited course. DeShayes Dream Courts was the Winner of the Residential Tennis Court of the Year award by the American Sports Builders Association. 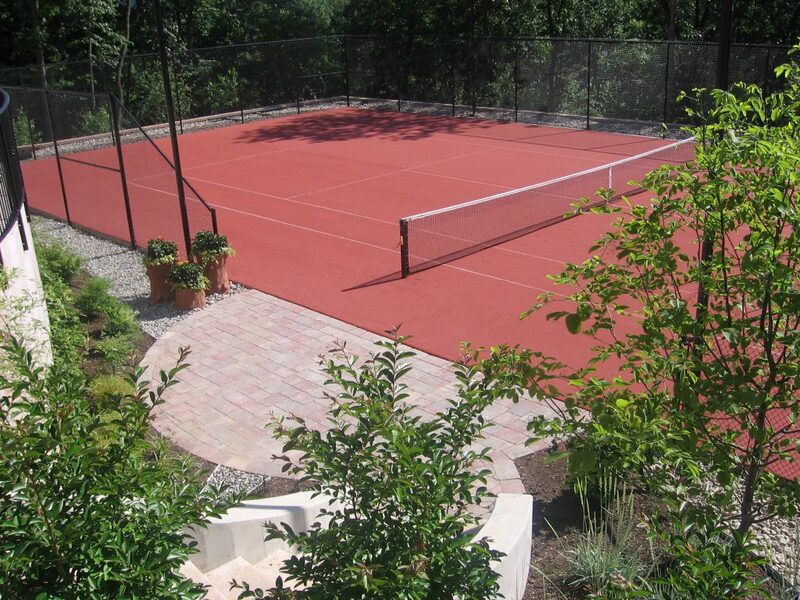 The awarded tennis court was built at a mountainside residence in Warren, NJ. The court is 115’x55′ and it is made out of red Australian turf with red sand infill, this makes playing on the court just like clay without the maintenance or downtime. Rated at the highest level for client satisfaction by the Houzz community. Our mission at DeShayes Dream Courts is to provide the industry’s best recreational court and field design, installation and related services by training, empowering, and rewarding exceptional people, earning the clients loyalty and exceeding the expectations of each and every customer. We recognize the importance of giving back by giving to the less fortunate children of the world though regular contributions to the Smile Train charity.